Dr. Conor Cruise O'Brien makes a persuasive case for Biafra in his report in The New York Review of Books but he affricates his argument (to make a bad pun) by his addiction to a conspiratorial theory of politics. According to Dr. O'Brien, the neglect of attention to Biafran in the world press is due to "western interests" who want to see the Biafran secession quashed. Who these "western interests" are is a puzzle, since they are never named, just vague, amorphous "western interests" like an old, E. Phillips Oppenheim mystery. What is even more confounding is that the Soviet Union (progressive?) is supporting the Federal Government of Nigeria, while Portugal (reactionary! 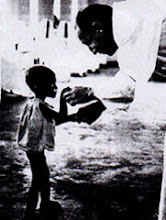 ), is supporting, with arms, the government of Biafra. What strange ideological alignments, if one is to go by ideology, as Dr. O'Brien often does. If one is to answer the question Dr. O'Brien raises, namely why the secession in Katanga received so much attention and the Biafran revolt so little, a sociological law of parsimony might be a better guide to understanding than a conspiratorial view of shadowy "western interests." 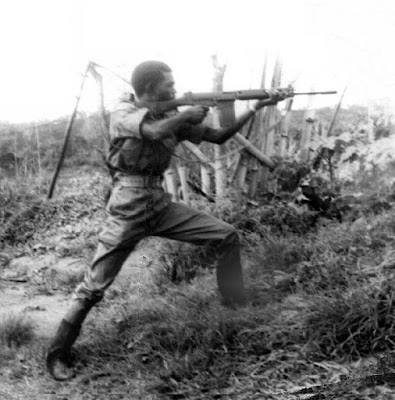 The Congo affair was clearly a colonial issue in which the Belgian interests, unambiguously, were behind Katanga. The Congo had such colorful politicians as Patrice Lumumba and Moise Tshombe. 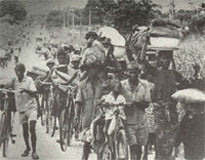 The murder of Lumumba gave the affair a dramatic setting. The cast had easy villains, etc. etc. The situation in Nigeria is vastly different. There is no such dramatis personnae. Few persons, including liberals, can readily identify the leaders on both sides. While the north is feudal there is no overt colonial element which distorts the dispute. And the suddenness of the situation, and its shifting complexities, makes it difficult to follow the sides. There is one factor in all this which Dr. O'Brien has mentioned only glancingly, but whose ideological dimension he has neglected to draw. This is the fact that for more than a decade all the left-wing Africanists in American and English universities opposed tribalism as divisive and reactionary and national integration as progressive. When Kofi Busia opposed Kwame Nkrumah on the issue of tribal autonomy, he was attacked by D. Apter and I. Wallerstein as reactionary. Little wonder, then, that some ideological confusion ensues when one finds such staunch progressistes as Dr. O'Brien championing tribalism and secession. 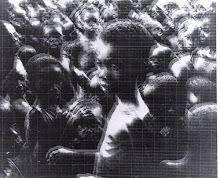 If anyone is to blame for the neglect of the plight of Biafra, it would be those "western sociologists" who mocked those who felt that the natural tribal units, and their traditions, constituted a viable—and necessary—unit of society, as against the distortions both of the colonialists and the "modernizing elites" who were using nationalism to justify their own rule. If any one has hoist Dr. O'Brien, it is his western academic friends. Puzzled by Mr. Sungo's assertion that, according to me, "the neglect of attention to Biafra in the world press is due to 'western interests who want to see the Biafran secession quashed,"' I re-read my article to see whether anything in it could legitimately bear this interpretation, or the sneers about "Oppenheim mysteries" which copiously accompany it. 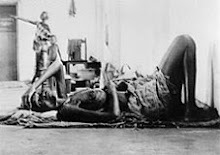 My references to Western interests are used in fact not in reference to the Nigerian conflict but to the secession of Katanga, which I correctly described as backed by these interests, about whose composition there is no mystery, Oppenheim or other. They included the Union Minière du Haut Katanga, the Societé Générale, the Belgian Government, Tanganyika Concessions and an important section of the British Conservative Party, together with some members of the US Congress. notably Senator Dodd. I do not identify any such coalition of interests as supporting either Nigeria or Biafra. My point was indeed that apathy prevails in the West about the whole struggle and that on the whole this apathy is more helpful to the recognized Government in Lagos than to Biafra. I did point out that the coverage of the war by The New York Times, the most influential paper in the West, has been one-sided and slanted against Biafra. This may be due to that paper's conception of where Western interests lie, but to acknowledge that possibility is not the same thing as to discern a conspiracy of Western interests to snuff out Biafra. As far as I can make out from Mr. Sungo's letter, he agrees with what I actually said but is so anxious to disagree with me that he attributes to me, quite unwarrantedly, an opinion for which it is easy for him to demonstrate the lack of foundation. This is a pity, because the main issue he seems anxious to debate—that of the significance of tribalism in contemporary African political contexts—is both important in itself and—as he suggests—has been frequently subject to misunderstanding and distortion. I would have liked to debate with Mr. Sungo the facts and fictions of tribalism. Unfortunately no useful debate is possible with someone who prefixes with the words "according to X" a view not expressed by X.